The Castelli Free Aero Race Bibshorts have been a staple in Castelli's performance cycling line-up for years. Combining their excellence in fabric and design with the input of professional riders and tested on the world's stage, the Free Aero Race bib delivers lightweight comfort with targeted support for all-day rides or high-output races. It's namesake lies in the marriage between its lightweight, minimalist mesh upper and dimpled, aerodynamic bottom. 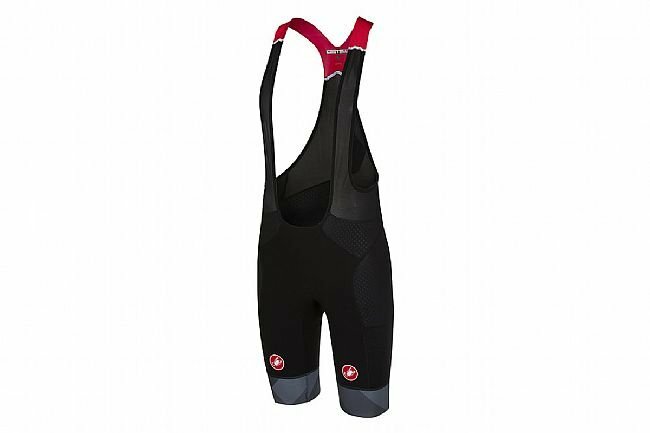 Castelli's Carré engineered lie-flat bib strap construction features airy mesh fabric for minimal coverage, and the maximum in breathability. Down below, Vortex dimpled fabric helps smooth the airflow over the legs, maximizing your performance. Inside their Progetto X2 Air chamois delivers optimal cushioning and support, featuring a layer of multi-density supportive padding and a layer of soft, antibacterial fabric against the skin. This Kit version of the Free Aero Race Bib Shorts has been designed to match their Free AR 4.1 Jersey. Free mesh upper is minimalist with lie-flat bib straps for optimal comfort. Carré engineered lie-flat bib strap construction for minimal coverage, maximum comfort. Progetto X2 Air seat pad for even greater comfort. Vortex dimpled fabric on legs for improved aero performance. These bibs went through a tryout rides of 30, 50, 65 miles, then a 65 mile tandem ride and finally a century. Comfortable, no chafing and no hot spots. My new favorite bibs. Great fit, comfortable over long rides on the weekend. This is the 3rd pair of these I've purchased from Western. I'm 5'7 & 130 lbs & a small fits me fine. The pad is not overdone but provides good comfort. I'm not a long distance guy, usually 30-50 miles, so I can't say what they'd be like on a century, but I don't have issues with discomfort on those rides. I've had my first pair 2-3 years now & don't notice any wear issues. I do get some redness/chafing, but no more so & generally less than with other bibs (Bellweather, Assos, Voler, DeMarchi, Santini, etc) that I've used. 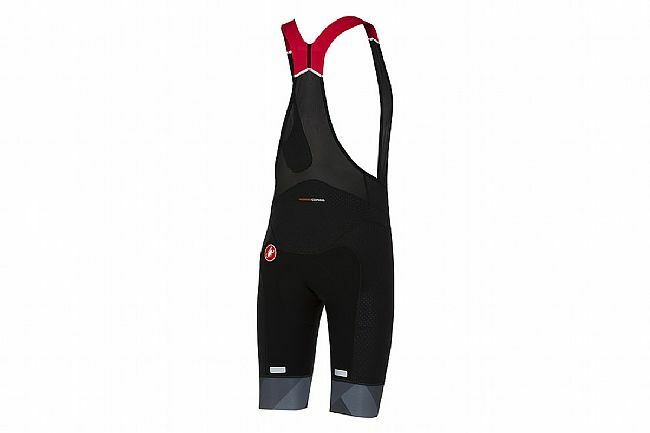 Because of my body type I like Castelli in general & think these bibs are a good buy at the price Western frequently sells them at, which is good for a race level bib. Great bibs...I have several pairs...only negative is the stitching on the pads gets loosefails after about 20 washes.